When and where does your Systema training take place? 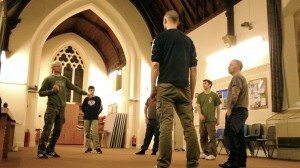 Currently we offer Systema training in Exeter, Devon on Sunday evenings at 7-9pm. We are also looking to add further Systema training sessions in the near future, so if you can’t make Sunday evenings, then continue to watch this space, or why not get in touch and let us know? How much are your Systema classes, membership and joining fees? You will be pleased to know that Systema South West unlike a lot of other martial arts schools, doesn’t have any expensive joining or monthly fees. We simply charge £6 per Systema class, which means for a 2 hour session, it costs you only £3.00 per hour!! Apart from this, the only other expense is a £20 annual membership fee (to offset the cost of our insurance), although this is only required once you have trialled our classes, and intend on pursuing your Systema training. What is a Systema class like? Systema training is a free form military combat system, that has no traditional martial art structure. This means a Systema class has no hierarchy, no set syllabus, no specific techniques, no grading or testing for promotion and therefore no belt system. The instructor helps the student to find their own unique fighting style, by showing how to apply methods of execution that will not only differ from student to student, but also from instance to instance. 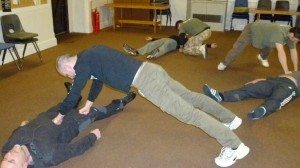 This Systema training will aid the student to become self sufficient, being able to choose appropriate responses to a multitude of situations extracted from their own acquired experience. What should I expect to gain from Systema training? Each Systema class is by its own nature a unique event; even when a student who has been in a Systema training regime for a number of years, and may have trained in certain aspects of Systema a number of times in those years, will still be finding new and fresh ways to deal with situations as they occur. The exercises you will be trained in are basic and straight forward, all being based upon natural movement. In this way Systema training will become part of your everyday life. You will be able to improve your breathing, decrease your stress and increase your relaxation. 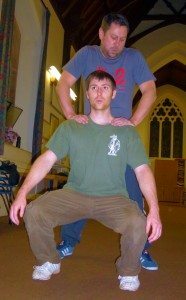 The Systema training tailors itself to the ability of the individual, but also helps that individual to become better, healthier and an overall calmer person. How many Systema classes and schools are there? There are over 200 Russian Martial Art Headquarters’ Systema schools in the world, in over 30 different countries, with over 500 instructors, giving Systema training to thousands of students. Here in Exeter, Devon, we have students travelling from as far away as Exmouth, Torquay, Brixham, Paignton and Newton Abbot. Being the first school offering Systema classes in the South West of England, we feel honoured that students value our Systema training so much, that they are prepared to travel such long distances to gather together for our Systema class. What should I wear to Systema training? When attending a Systema class, please wear comfortable clothes, such as a t-shirt and training bottoms. You a free to wear whatever you feel comfortable in, but please do not wear anything that is new or expensive, even with the best will in the world, through the nature of Systema training there is a potential for clothing to become damaged. Also, for your own safety and that of your training partners, do not wear watches or any jewellery (wedding bands are acceptable, but it is advisable to tape them over) when training. Finally bring sensible footwear to train in when involved in Systema training, please do not wear out door shoes. Do I need to bring anything with me to a Systema class? Bring plenty of water, an open mind and a great attitude. Systema training and learning requires an open an excepting attitude to give things ago. If you’re willing to learn something new, you will get the most from a Systema class. Remember, a Systema class is not what most people expect a martial arts class to be and many people will have never experienced anything remotely like Systema training. So whether a student originates from Exeter, Plymouth, Paignton, Brixham, Exmouth, or surrounding areas, they will all find out something about themselves as much as about Systema itself. What age do you start Systema training from? We have an age limit of 14 years old and upwards. Due to the nature of Systema training, we do not include any children’s Systema classes at present. 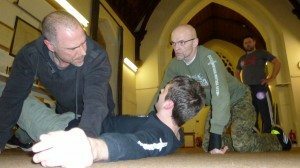 What do you require from a student who attends a Systema class? Just a good attitude, a friendly outlook, and a willingness to learn and try new things.